'This is a well-written, interesting and authoritative book, which should be of interest both to students and to academic readers. Dr Langhamer has used a very wide and impressive range of sources, newspapers, mass observation, oral testimony and many secondary sources. A valuable work.' -- Dr Elizabeth Roberts, Lancaster University -- . This study examines the complex relationship between women and leisure, drawing upon recent feminist theory. 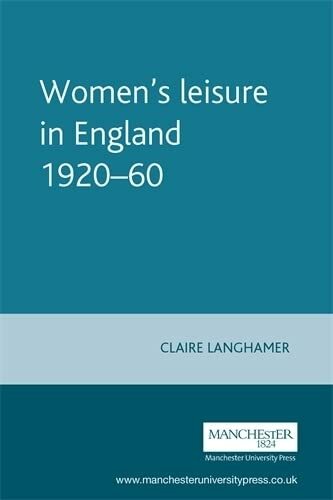 The text charts the changes in perception, representation and experiences of leisure for women between 1920 and 1960, and relates the changes to life cycle lines.